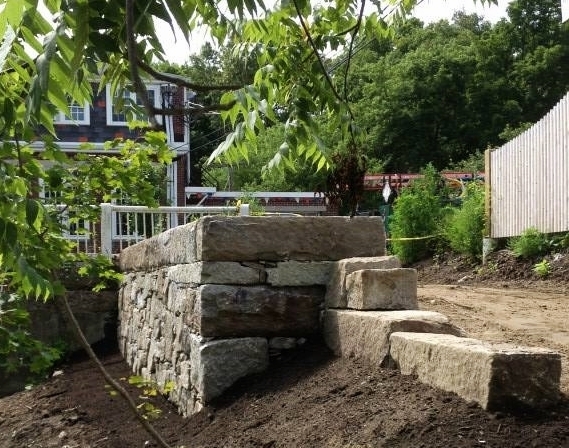 Constructed from reclaimed granite from old railroad trestle in Medway. Built as an add on feature to an existing patio and wall. constructed with full color bluestone. Uni-lock Brussels paver with brick inlay. 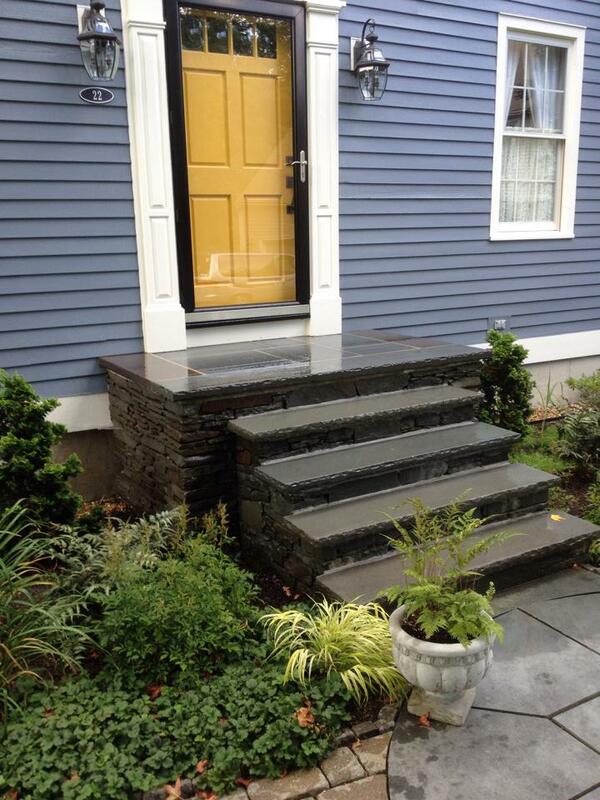 constructed with bluestone veneer and capped with bluestone treads. 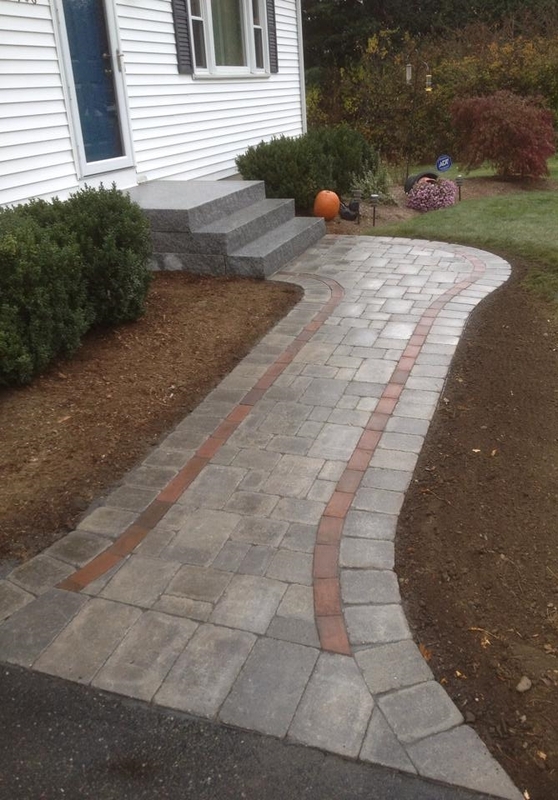 Granite steps with brick patio. 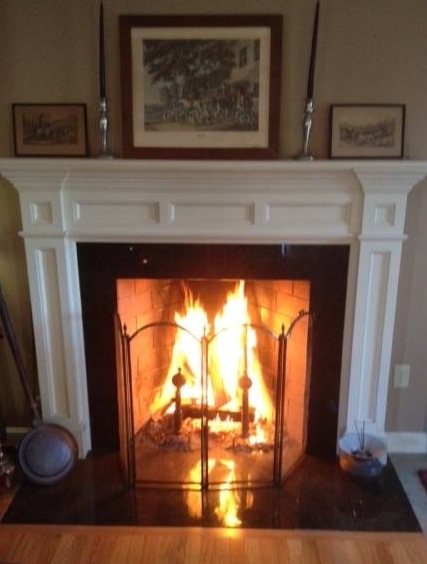 with granite face and hearth. 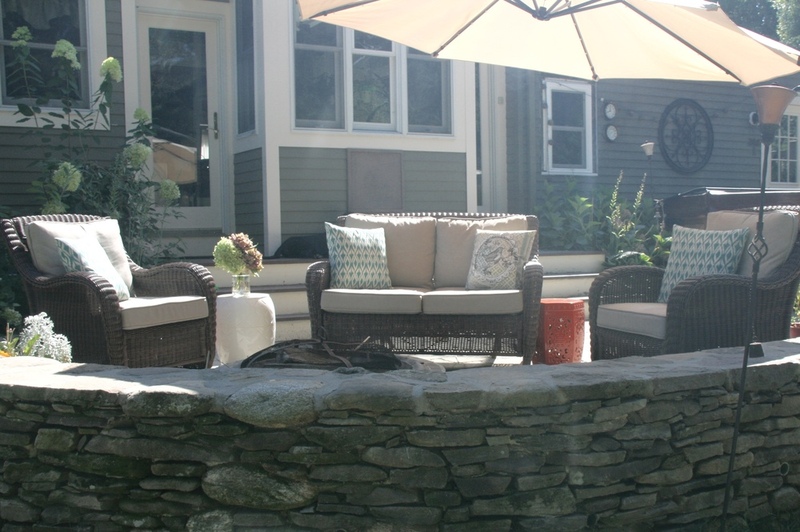 constructed out of New England fieldstone. 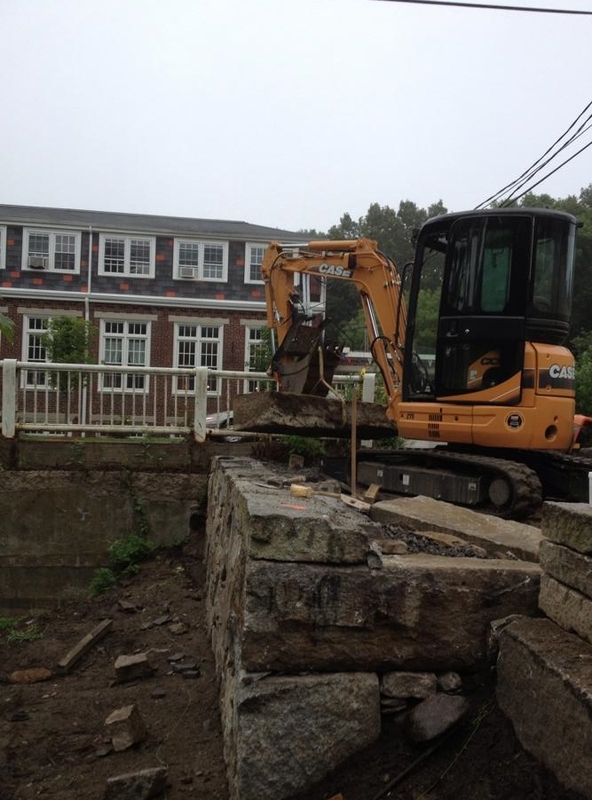 Excavator working on Choate Park retaining wall project. Jefferson C. Bailey Masonry offers a full range of services, from the design and installation of patios, to the complete construction of chimneys, walkways and steps. All projects, regardless of size, are given careful attention from the preliminary design phase through project completion. 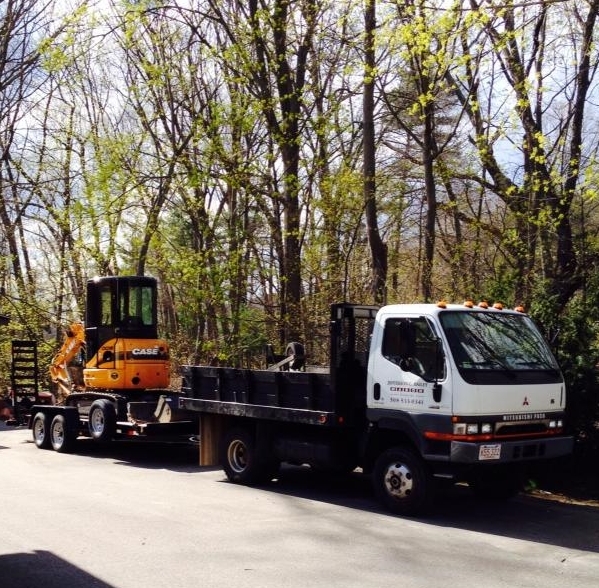 Jeff can help you with all your masonry, hardscaping and excavation needs.